In this summer of 2014 we got to see and learn how each of these retailers has kept their business moving forward in these difficult times. As we all know, since 2007, we have been in the longest running and deepest impacting economic recession since the Great Depression, and yet every one of the retail shops that we visited is not only still in business and surviving, but in fact many are thriving. All reported a steady increase in sales and profits over the past 5 years. Many have also expanded or diversified in this time frame. Keep in mind that a number had just opened their doors two to three years prior to the start of this current economic downturn – a most critical time for any new business venture. So how do they do it? What sets them apart from the many retail shops that have disappeared from the retail landscape? Although each successful retailer has their own unique situation, and operates within the confines and parameters of their immediate environment, we did observe some key common elements among them – these are the common elements that I feel are a big part of their success. Passion – You can’t learn it; it has to come naturally. Some of us wear it on our sleeves every day and you can see these folks shouting from the rooftops, sharing with the world how wonderful their business is and how the customer cannot live without it. Others are a bit more subtle, but the passion displays itself in the little details, like creative displays the change on a regular basis, powerful and eye-catching signage, and hours dedicated to do each task well. Every frame shop and gift boutique visited displayed passion – passion for their products, their name and their business. We all face the emotional challenges that are part of the retail scene, and some present themselves to us dramatically. These challenges are magnified in hard economic times, and can easily wear down ones enthusiasm. Successful retailers recognize that they need to display an uber amount of enthusiasm, as it is contagious to both customers and employees alike. This requires each of us, as “Captains of the Ship”, to balance our personal needs of lifestyle that include diet, rest and physical health. This is a key in being able to maintain this inner glow – people are counting on you! Change – We noted many times along our journey that at some point during the past 6 years, many of those shops we visited had recently moved, remodeled or expanded their product lines. Many had expanded into larger facilities, or moved to a more visible location. Some had taken advantage of reduced rents during the recession and moved to what had previously been a location that was cost prohibitive before the recession. It should be noted that many shop owners recognize that by nature, we are risk takers, and thus we should continue taking some business risk everyday even if it means relocation – it is part of the challenge of retailing. We visited a number of Gift Boutiques that had changed product lines, dropping those that were poor performers and adding new and trendy hot items. They sometimes would add a new line knowing full well, that it might be a short term relationship adding to an immediate benefit. Sticking with the same old stuff can be a death sentence in retailing. Similarly we noted that one framer abandoned a gallery portion of his business that had never held its weight in favor of a Children’s After School Art Class studio. We also noticed a number of frame shop owners embracing diversification by adding more photo frames or other home decor products. It’s all of these changes that keep a business fresh and interesting to the potential consumer. Technology – Although a business can be run without a Point-of-Sale system, the growth and organizational benefits are huge and the benefits are not to be denied. Every single shop visited along our journey, from the one-person framer to a gift shop with a staff of ten all used and embraced some sort of POS software to track customers and record sales. It becomes obvious that a smart business person recognizes that their time is valuable, and embracing technology helps makes good use of that time. One great example along our journey was a stop made to visit a small frame shop located in an old established neighborhood of a large metro city, and it looked like they had been in business for 100 years or more. Looking somewhat like an old cobbler’s shop or vintage bookstore in many respects, we note that it is this from a marketing standpoint, their “Image” and it is that image that contains great charm, warmth, and a feeling of old school craftsmanship. Despite this antiqued patina of appearance, the shop still recognized that it was indeed a different era and was an early adopter not only for using point-of-sale software but also a Computerized Mat Cutter in their workshop as well. Profitable businesses must keep up with industry changes! Delegation – Often easier to describe than to execute, this key business trait was one that we found common to many of those survivors that we visited. Owners knew that to grow their business and reach profitable volume, they would not be able to have their hands on every single aspect of their business. Yes, this does seem a little obvious, but many strong creative and passionate individuals are great at starting a business but have a really hard time in allowing others to maintain it as it grows. Many whom we visited have learned to do this well and often credit a key employee to being a big part of their business success. These key employees often take on the business as their own and when nurtured can often achieve even greater sales success than owners. Sometimes delegation simply means using outside sources for materials and services to compliment a core business. Rather than attempting to do everything, learn how to our source talent. Product Knowledge – Another small detail that can slip between the cracks is keeping up with the ever changing world of new products, services and popular lines. 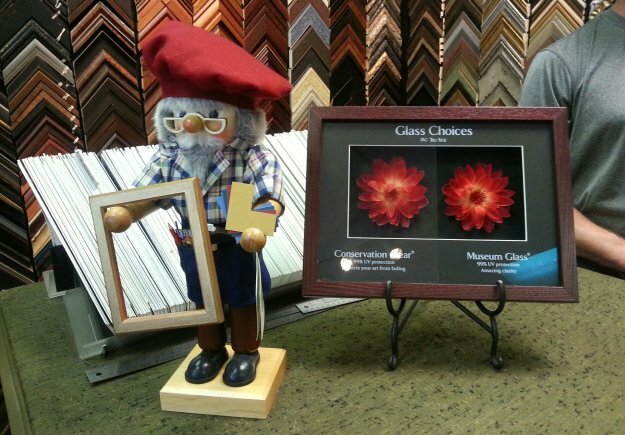 We were amazed at the number of picture framers along our trip who not only knew about the latest releases within the picture framing industry, but also had the manufacturers point of sale displays out for customers to view. Hot new items like Prisma’s Acrylic Photo frames or the Urban Ashes Collection of recycled materials that were displayed in several shops. Almost every framer had a table top counter display of Tru Vue’s Museum or Conservation glass, for customers to compare for themselves. Although much of this awareness can be provided by competent sales reps and trade publications, most of this knowledge comes from association and education at the WCAF Show – this is the picture framing industries largest Conference and Trade Show. Almost every framer visited attends this show on a regular basis. 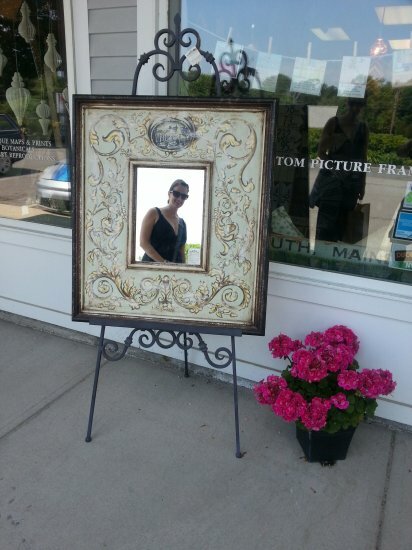 Success in retailing is more than these five key points that we observed along our Summer Holiday to New England, but I am pretty sure that these common denominators are valid indicators as compared against many successful frame shops and gift boutiques. Home – It is always great to be back home, no matter where you call home. But is is also in venturing into new territory that we often learn new things. So the next time you journey out and observe what others retail shops are doing differently, you should always ask yourself, what are they doing well that I might borrow… what can I glean from this experience, even if it is a Busman’s Holiday.